UGC has produced its own vision for what the station site could look like. HS2 has received a request from the organisation leading the West Midland’s Hub development to modify its design for the Birmingham Interchange station. 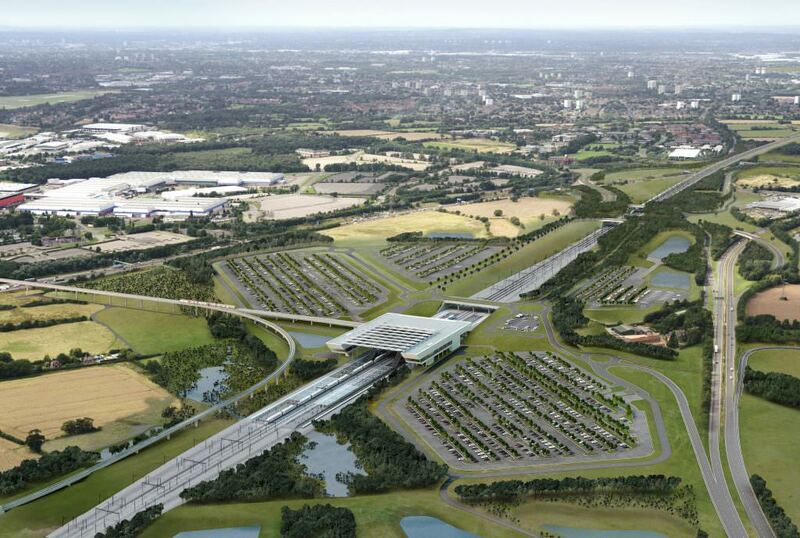 The UK Central Solihull Urban Growth Company (UGC) – a special purpose delivery vehicle set up to steer the creation of a new commercial district around Junction 6 of the M42 – said it wants to see the current plans for a parkway-style station reviewed. HS2 Phase One includes two stations in the West Midlands: Curzon Street and Birmingham Interchange – a four-platform station located close to Birmingham International Airport and the National Exhibition Centre (NEC). UGC has asked HS2 to amend the hybrid act for Phase One of the route between London and Birmingham to deliver a more ambitious plan for the Birmingham Interchange site. UGC said its proposals, which include changes to bridges, road layouts, landscaping and car park layouts, were backed by the Solihull Metropolitan Borough Council and the West Midlands Combined Authority. He added: “We want to create sustainable jobs, homes and commercial and leisure space for the people who live and work in the region, but the proposed parkway station won’t allow that to happen. “The UK Central Hub is already home to Birmingham Airport, the NEC, Jaguar Land Rover, Birmingham Business Park and Arden Cross. “Our recently published Hub Growth & Infrastructure Plan coordinates those organisations’ individual plans, looks at the infrastructure needed to make it all happen, and predicts the creation of up to 77,500 jobs, up to 4,000 homes, 775,000 sq metres of commercial space and up to £4.1bn GVA as a result. HS2 is expected to make a decision on UGC’s proposals by the end of the year. A spokesperson for HS2 said that although the hybrid act sets out the outline design for the stations, there was scope within it to make detailed design changes at a later date. I think it will get the go ahead.